A CONFIDENTIAL phone line set up to allow NHS workers to report concerns about patient safety and bullying has been branded “useless” by one of the country’s most high-profile whistleblowers. 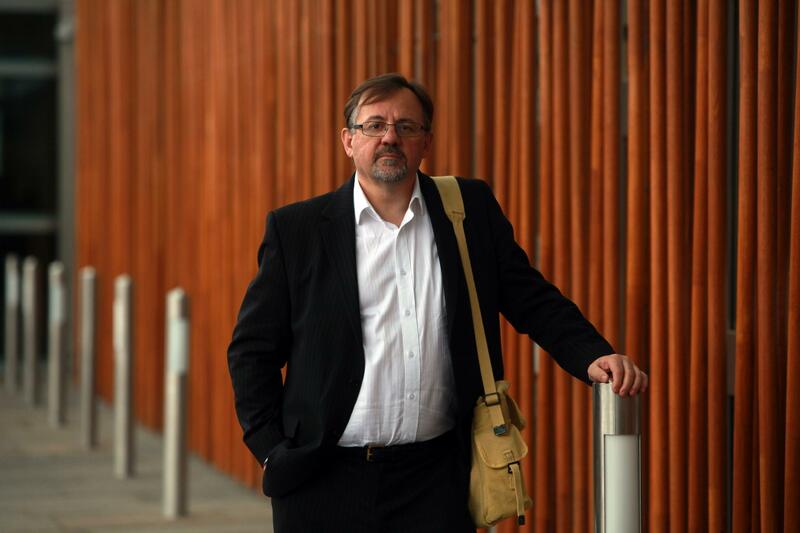 Rab Wilson, a nurse who uncovered a catalogue of failings at NHS Ayrshire and Arran, said he had suggested the measure to Nicola Sturgeon but the initiative had “failed utterly” as it had proved toothless in holding health boards to account. The Scottish Government hit back at the claims, saying its policies allowing health workers to raise concerns were already “robust” and would be strengthened further with the appointment of an independent national whistleblowing officer. Mr Wilson spoke out after Dr Jane Hamilton, a consultant psychiatrist, revealed that she was retiring after believing that she had become known as a “troublemaker” within the Scottish NHS. She warned bosses that lives were being put at risk at a specialist Mother and Baby Unit at St John’s Hospital in Livingston before going public with her fears. Dr Hamilton said that she had been unable to find work north of the Border and that a weekly commute to Yorkshire where she worked for the NHS in England had proved too demanding. Mr Wilson said that Dr Hamilton had been “selflessly brave” in speaking out and accused the Scottish Government of not protecting whistleblowers, despite publicly claiming to value their input. He said: “The National Confidential Alert Line, which I suggested to Nicola Sturgeon, has failed utterly to do the job that I envisaged it doing. It is useless. It has no powers to hold anyone to account. “Both Jane Hamilton, myself and other whistleblowers I know, when they contacted the Scottish Government begging for support and help were categorically told that this was an ’employer/employee issue’ and they were sent back to the self-same NHS boards that stood idly by and allowed the bullying to happen. The NHS whistleblower phone line was set up in 2013 with ministers stating that it would help staff highlight areas of concern, which would be investigated. It followed concerns over serious incidents at Scottish hospitals and the scandal at the Mid Staffordshire NHS Foundation Trust in England. However, concerns have been raised by Mr Wilson and others who have claimed that many employees are simply referred back to the health boards that employ them. He also hit out at the continued use of gagging clauses in the health service, despite a presumption against the confidentiality agreements in severance agreements being introduced. Dr Hamilton initially spoke out after refusing to sign one of the deals with NHS Lothian. Mr Wilson said that Freedom of Information requests to the government had revealed that nationwide, more than 30 per cent of settlements included the confidentiality stipulation in 2014/15. A government spokeswoman said it was clear that health boards must ensure it was “safe and acceptable” for staff to speak up and that genuine issues are treated “seriously and investigated properly.